People’s Party President Mike Mulongoti says journalists should investigate Edgar Lungu’s history. “What is the history of Mr. Edgar Chagwa Lungu? I want you the journalists to investigate this very well. Mr. Lungu claims he was born at Ndola Central Hospital in 1956, that time, that hospital was for Europeans. It is not possible that he was born there? He claims he went to Mukuba Secondary School, can you investigate which primary school he went to. You can’t go to a secondary school if you have not been to a primary school. Where is his village? The whole village is dead? We want to know his uncles, relatives…we know he has relatives in Lusaka…When we resolve these issues of who he is, then we will know why we are having all these problems,” Mulongoti said. 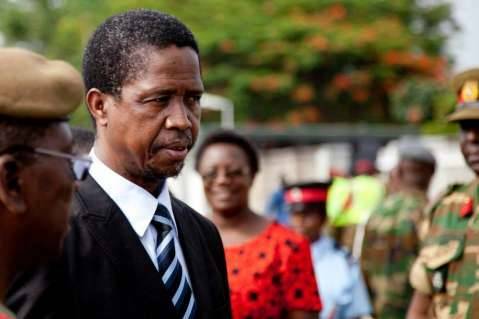 There have been growing concerns that Lungu is from either Rwanda or Burundi but entered Northern Rhodesia when he was still a child and hid in Ndola. All the people who have ruled Zambia have upheld the idea of one Zambia one nation and have generally been tolerant but Lungu has divided Zambia on ethnic lines as he has no love for Zambia. He probably wants a genocide like what happened in his country of origin.